I have to tell you that prior to reading Locke by Harper Sloan, I had not read any previous books she had written. I have a the first 2 on my kindle and my TBR list, but when I got the invite to read Locke from TRSOR, it said it could be read as a stand alone so I just went with my gut and dug right into the this book. It was so great! And I fell in love with Locke and Emmy. I am assuming that if you read the first books in the series you would already be familiar with these characters. Since I hadn't I was at a slight disadvantage. That being said, I only got confused once or twice but for the most part I kept up with what was happening despite the fact I hadn't read the previous books. That being said, I will be reading the other books in the series because this one was so awesome! 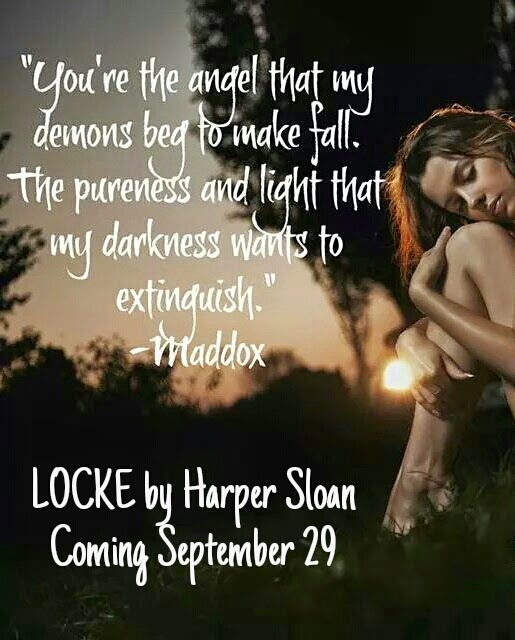 Maddox Locke is a brooding "Mad" man. He is fighting love and happiness with everything he has in him. The problem? He has been brainwashed to believe that he is poison. I won't ruin it for you, but I would like to punch some of these characters in their face! Their cruelty knows no limits. Emmy hasn't had a life that was easy either. I am sure that there are people in this world that treat their children the way Emmy was treated but it hurts to think about it. I hope all those people get exactly what they deserve in the end. So what happens when two people that have no examples of love in their life are thrown together? Just wait for an explosion. When it occurs it is HOT! I highly recommend this book. It is a book that sucked me in from page one and had me hooked until the end. I could not have asked for a more perfect way to end it. I can't wait to dig into the remaining books in the series and read them in order now. 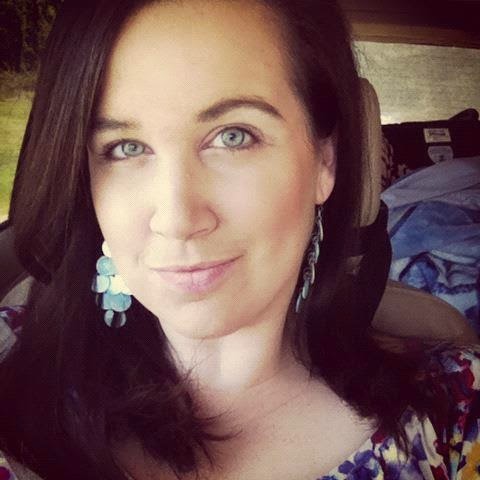 Well done, Ms. Sloan!